Wall mounted TV cabinets for flat screens with doors can be great for certain environments; yet, truth be told, these units are not really functional and have more of a decorative purpose. Plus, there are also certain interiors that will never benefit from such an arrangement. So, if you are still thinking which kind of a TV stand will be a perfect addition to your living room interior, and wall mounted TV cabinets for flat screens with doors are just some of the options you are considering, pay attention to the benefits and limitations of the above models – hopefully, they will help you to wrap your head around the whole thing. The main challenge while decorating vintage and rustic living room is finding a suitable way to integrate your TV – especially, if you are trying to create truly antique atmosphere in your room. Wall mounted TV cabinets for flat screens with doors can help you to easily solve the problem and hide your TV set if you are not watching it at the moment. Another great perk is that wall mounted TV cabinets for flat screens with doors look unusual, and they are quite rare in modern homes. So, if you are looking for unique decoration solutions, this could be one of them. The majority of wall mounted TV cabinets for flat screens with doors are designed in wood – mostly because they are aimed at vintage and rustic interiors. However, there are some contemporary models to choose from – even though they are not as easily available in stores. However, you should not forget that such models feature just TV brackets and doors – nothing else. They do not have any extra storage capacity and are designed with a strictly decorative purpose in mind. So, if your room is small and you are forced to optimize every square millimeter of it, this is not the best choice for you. Finding a model that would fit into modern living room is possible – but not simple. On the whole, wall mounted TV cabinets for flat screens with doors are very demanding decoration solutions. Even if you do not need any extra storage space, integrating the kind of model into a small room is not easy. After all, the smaller the room is – the less objects should be hung on the walls. 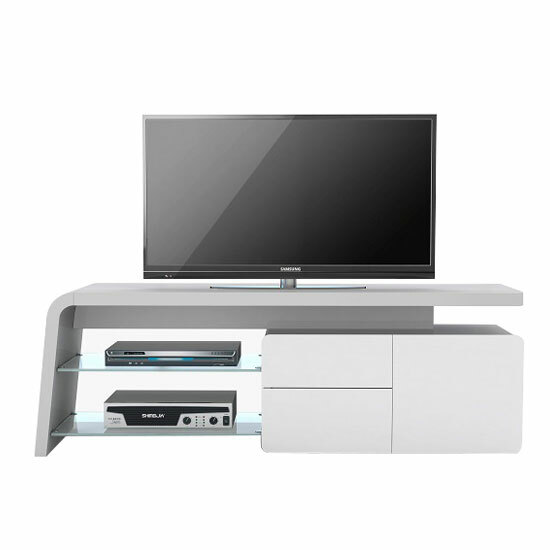 The bottom line – wall mounted TV cabinets for flat screens with doors can be really beneficial for some interiors. However, they are definitely not the best choice for small living rooms. And, if you are still looking for a store that can offer you a wide range of both functional and decorative solutions for your home, you should check out a couple of items at Furniture in Fashion . This e-commerce platform is an undeniable leader in the UK market, offering its customers a fantastic range of products to choose from, low prices, and short delivery times.